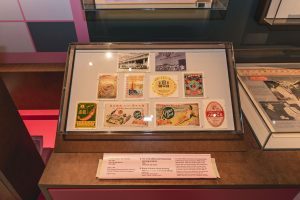 This is one history lesson that will not leave you snoozing – the National Museum of Singapore’s latest exhibition, Packaging Matters: Singapore’s Food Packaging Story from the Early 20th Century. The show might sound like a history module one has to study in school, yet it is anything but dry. 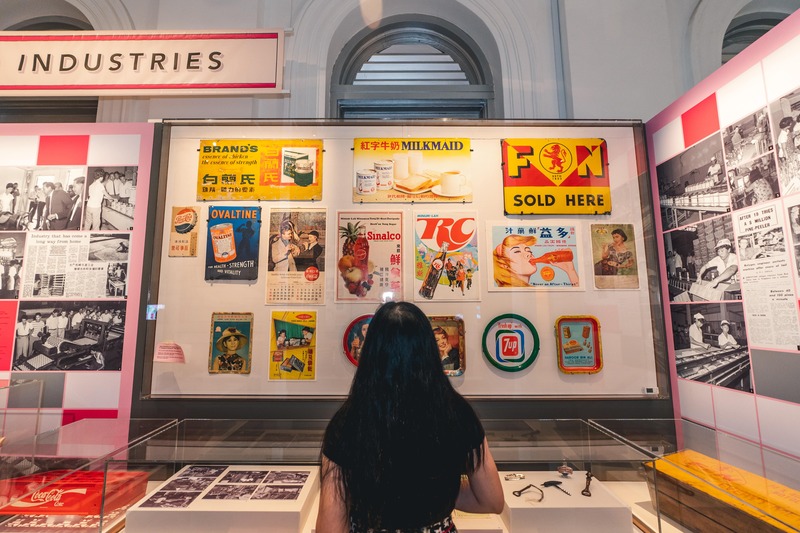 Instead, it is chock-full of eye-catching artefacts, delightful stories and juicy facts that together tell the story of Singapore’s history through the unexpected – and delicious – lens of the foods manufactured and packaged in Singapore. 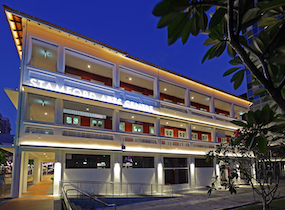 Visitors can look forward to an intimate experience that brings to life the evolution and innovation of food packing in Singapore, from the bottling and canning factories of the 19th– and early-20th centuries to the food manufacturing factories that sprang up in the 1960s and 1970s. Not to be missed as well – the many familiar homegrown brands featured in the exhibition. What do pineapple and rubber have in common? 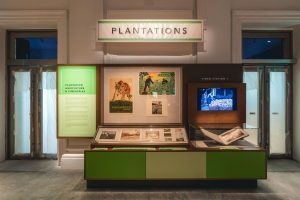 Both types of popular crops were commonly cultivated in the same plantation in Singapore of the early-1900s. The reason: efficient use of land. Pineapples take just 18 months to fruit while rubber trees require at least six years to reach maturity for their sap to be harvested. Pineapples that weren’t sold fresh were canned, and being highly sought after around the world, they were exported internationally and used in popular Western recipes of that time, such as the pineapple upside-down cake. Tasty flashback: your grandmother empties a can of lo han cai (mock meat and vegetables) into a ceramic bowl, steams it over rice, and voila, a simple yet yummy dinner is served. For some, that memory persists as a modern-day meal hack for when one is too busy to cook from scratch. And chances are, that meal-saving canned food is by Amoy Canning, one of the first food canning factories set up in Singapore. The brand, better known as Amocan or Cixin, expanded out of Xiamen, China and set up base in Singapore in 1951. It was the first to market Asian curries and sauces in a can following World War II. Few things beat a cup of hot Milo and flaky Khong Ghuan cream crackers for a nostalgic snack. But did you know that those beloved biscuits from your childhood wouldn’t have existed if not for two quick-thinking brothers? It was Choo Keng and Choo Han who discovered war-damaged biscuit machines, successfully fixed them, and started the first production line for Khong Guan Biscuit Factory in 1947 in Howard Road. The rest, like they say, is history. 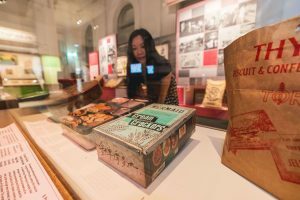 Find out more about Packaging Matters: Singapore’s Food Packaging Story from the Early 20th Century here.